YouTube is a social media giant and the second largest search engine globally. With almost two billion monthly active users, YouTube is a quintessential tool for product-focused companies eager to present their latest offers. But this is a well-known fact and one of the main reasons why users upload 300 hours of video content each minute. In such circumstances, finding your place in the YouTube sun is everything but easy – your video content strategy needs to be flawless if you want to grow the number of views. Our job is to make the process easier for you, so keep reading to learn seven practical ways to promote your product on YouTube. Raise awareness: YouTube allows you to reach global audiences. Search engine ranking: Video content is often ranked highly among other search engine results. Cost efficiency: Every business, including paper writing services like Resumes Planet and EduBirdie, loves YouTube marketing because it is free of charge. Production presentation: The largest video-sharing platform gives you the opportunity to show the product and not just to describe it. 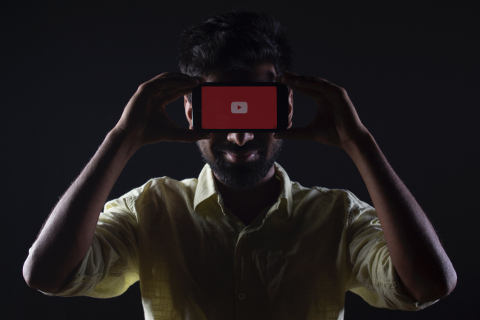 YouTube can give your product a brand new boost, but only if you shoot quality videos. There is no room for improvisations here: you have to make top-level content using professional equipment and following a clever script. Everything must be perfect, including the color palettes you choose, lights, actors, background music, captions, and animations. Users will immediately recognize amateur content, so don’t rush into the project if you don’t have a good plan of video creation. If you are not really sure what does it mean to make a high-quality video, just take a look at Apple’s iPhone X. As a company, you have to create your own YouTube channel and put each product video over there. Always use the official name of your brand or business and don’t forget to tailor the channel according to the branding guidelines – add a background banner, a logo, and other details that make your company easily recognizable. Of course, you should create lists to distinguish between product videos and all other types of content. Titles: Headlines must contain keywords relevant to the niche and to the product itself. For instance, the title “Wilson Clash 100 Tour Tennis Racquet Review” is great because you can immediately conclude that the video discusses tennis racquets, Wilson Clash 100 in particular. Descriptions: You must also use keywords in descriptions, but this optimization feature serves other purposes, too. According to content creators at EssayMama, the most important thing is to use descriptions to add links to your landing pages. Thumbnails: A thumbnail is a small image that users see when they search for videos. It should always be an attractive photo that promises action-filled content. According to the report, less than 60% of viewers watch videos for more than four or five minutes. Although they enjoy consuming visual content, YouTube users are impatient and can’t stand long-form videos. The basic rule of easy essay writing and video script creation is to keep the content short and sweet, showing everything consumers need to know within three or four minutes. “How To” videos are critical to the success of your YouTube marketing strategy. After all, you are running a product-focused company and users expect you to present every item from the portfolio. It’s a great opportunity to explain the features of your products and highlight the advantages of choosing your brand instead of some other. The only thing that can be even more impressive than “How To” content is a case study. The case study serves the same purpose as product tutorials, but it comes with a simple tweak – customer testimonial. This adds an extra layer of credibility to your videos because consumers tend to trust their peers more than brands or organizations. McKesson gives you a good example of a well-crafted case study, but there are tons of similar videos to check out on YouTube, so make sure to do the homework. Products tutorials and case studies are not the only things you can do on YouTube. Digital marketing experts at Ninja Essays believe that trailers, previews, and teasers make an outstanding impression on users if you want to create a feeling of excitement and anticipation before the official product release. You can use this format to create more buzz around new products and set the foundation for full-time tutorials. YouTube is one of the largest social networks globally, which means you have to exploit this channel for brand promotion. It’s not the easiest thing in the world, but it’s doable if you follow the best video production practices. We showed you seven ways to promote your product on YouTube, so make sure to use our tips and improve your brand recognition long-term. Kurt Walker is a full-time CMO and a part-time blogger at assignmentholic.co.uk and aussiewritings specialized in digital marketing. His favorite topics are social media campaigns and paid advertising, but he also enjoys writing about self-improvement and psychology. When he is not working, Kurt is probably out playing basketball with his old college crew. This entry was posted on Friday, March 22nd, 2019 at 12:58 am. You can follow any responses to this entry through the RSS 2.0 feed. You can leave a response, or trackback from your own site.